Agree or Disagree: Calgary needs more Taxis. Yesterday in a vote of 8-6 ( Councillor Gian-Carlo Carra was absent) to delay more taxi licenses in Calgary. Above is the perspective of Mayor Nenshi. However, not everyone agrees. Here’s Ward 8 Councillor Evan Woolley’s reason why we need to catch up with Taxi Licenses. Do you Agree or Disagree that Calgary needs more Taxis? I posted this originally on March 9. Since I posted this only on the Agree or Disagree: The Podcast Facebook Page, we didn’t get comments. I do think it is an important discussion. Hence, I’m re sharing and re adjusting. As you know, the Alberta Provincial election has been called for May 5. During this time, there will be no question that the Provincial Election will be a dominate topic Twitter and Facebook. People will bring up topics. People will debate them. But will it actually win someone an election? To present some argument, I’m going to share this post. While there the obvious ones like Mayor Nenshi and President Obama, here is the story of how Klaus Iohannis won the Romanian Presidential Election. He went from not having a Facebook page to having 776, 911 likes on Facebook. However, I’m also going to share this. This is a list of “Political Fails”. A number of decisions and posts on Facebook or Twitter that severely cost some elections. You can make the argument that Social Media loses elections. All this to ask this question. Do you think Social Media wins elections? Or, Do you think that Social Media loses elections? Or, Does it even matter at all? An example is here in Calgary. Councillor Andre Chabot does not have a Twitter account. Yet he has served Ward 10 since 2005. How does he win without Social Media??????? I’m being sarcastic of course. But you get the point. 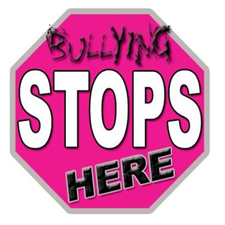 Agree or Disagree: Bullying Can Be Stopped. Today is Pink Shirt Day. Many wore a pink shirt to speak out against bullying. One of the best post to clarify what bullying is was this article from Vancity Buzz. Now as important as many felt this day was to speak out, there are some that are a little cynical about this day. Because some feel Bullying cannot be stopped. I was, and am actually continuing to have this conversation with some parents who are concerned about the approach schools, and other organizations have on this topic. In particular, grades 8- 10. With this in mind, I present this article. This is a story form Alpha Mom. She talks about how her kid was being bullied. I’ll let you read. But I’ll fast forward to the end of the story. And, I’ll leave it to you tho think about it. There will always be bullies in this world. You can’t stop that. But what you can control is the way you act. If everyone did that, called out the bullies instead of living in fear of retribution, bullying would come to an end. Stand up when you see someone being picked on, because the next time it could be you. You know, Mom, what was weird? Once I pushed [big kid] down the first time, the other kids that were standing there told him to stop being a bully too. But before that they were just watching and doing nothing. Sometimes, honey, it takes one person to step up first. Then other people feel brave enough too. They are afraid of being picked on. Agree or Disagree: This PC petition opposing someone wearing a niqab while taking the oath. The above petition is from the Federal PC Government. They are asking you to sign a petition requesting that women not wear a full face covering during the Canadian oath. In Canada, women are full and equal members of society — including when they take the oath of Canadian citizenship. That is why we are strongly opposed to anyone wearing a niqab – a full face covering – while taking the oath. In Canada, women are full and equal members of society. Including when they take the oath of Canadian citizenship. In order to give some perspective as to why those choose to wear the nijab, I’ll post this link from the BBC. It is from woman who explain why this is very important to them. So, do you Agree or Disagree with the Federal Government addressing this topic at all?